Luke 2: 1-20 In those days a decree went out from Emperor Augustus that all the world should be registered. 2 This was the first registration and was taken while Quirinius was governor of Syria. 3 All went to their own towns to be registered. 4 Joseph also went from the town of Nazareth in Galilee to Judea, to the city of David called Bethlehem, because he was descended from the house and family of David. 5 He went to be registered with Mary, to whom he was engaged and who was expecting a child. 6 While they were there, the time came for her to deliver her child. 7 And she gave birth to her firstborn son and wrapped him in bands of cloth, and laid him in a manger, because there was no place for them in the inn. Imagine if you will, a young couple. She’s very pregnant. Puffy cheeks and feet. He’s young too. Both just starting out in adulting and there hasn’t been a moment to catch their breath. Mary’s surprise pregnancy first sent her into hiding for several months at her Cousin Elizabeth’s home in the hills. Now she’s back with Joseph in the town of Nazareth. But that doesn’t last long either. Emperor Augustus calls for a registration census so that taxes can be collected. With his decree, Joseph and Mary travel the 80 miles to Bethlehem. There could have been a donkey to ride. 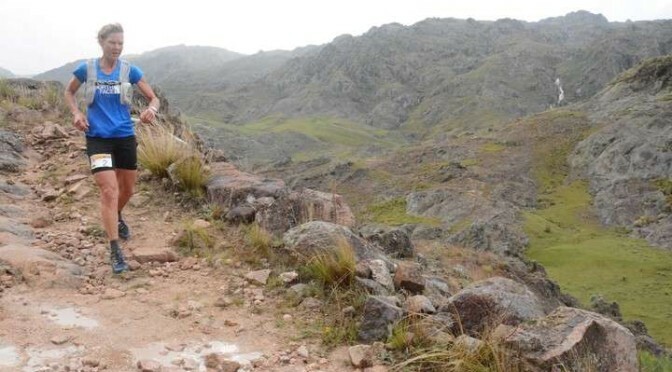 Although at many months pregnant, four days of donkey riding doesn’t sound like a lot of fun. I imagine that they were slower than many of the other people on the long and winding road, taking more breaks along the way. It’s no wonder that the inns were full by the time they arrived. For all the drama that’s easy to imagine, the story is sparsely told. It’s told in almost bullet points. You and I both know that it couldn’t have been that simple. There’s a saying in the news business that, “All news is local.” I would say that all news is about people. People in situations often beyond their control. The Bible couldn’t be less like a newspaper. It neither follows modern journalistic guidelines nor could it ever hope to meet those standards. But Mary and Joseph’s story shows local people trying to live during a time when religious and political events are well beyond their control. It makes me wonder if it’s a similar lack of control that fuels the latest “Christmas miracle” craze. I’ve heard the term in the past. But this December it seems to pop up everywhere describing good news big and small. Christmas miracles are listed in the news as melt-in-your-mouth recipes, pet adoptions, inspiring health recoveries, snow in Texas, and even includes a tongue-in-cheek report of an ER staff who performed surgery on an Elf on the Shelf named Sam after the family’s dog went rogue. I’m totally on the band wagon. It feels really good to throw my arms in the air and announce, “It’s a Christmas miracle!” Sometimes it’s celebration and sometimes it’s snark but it feels good and it makes me laugh every time. Naming things a Christmas miracle seeks to name the good – from small things like not burning forgotten toast to big moments of joy that defy explanation. One thought is that we name them miracles because we want to see the transcendent in something tangible, relatable, and real. Who wouldn’t want a Christmas miracle?! 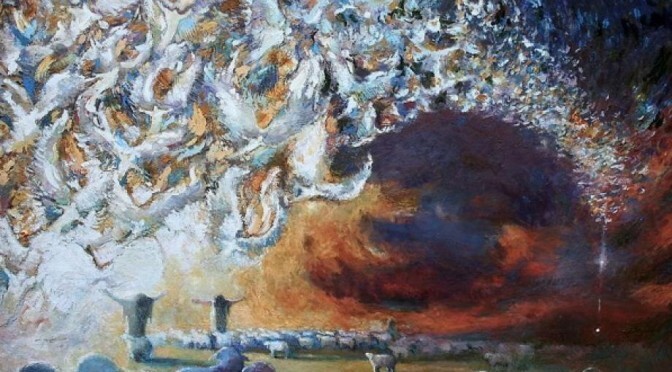 Apparently the shepherds are game to see one – although the “good news of great joy” comes from an angel that’s hard to ignore and quite terrifying to boot. What about this savior that the angel announces? What is one way we can think about that savior today in light everything that happens beyond our control? The Bible story goes on to tell us that the child who is born is named Jesus. Jesus, who is God. God, who is Jesus. Jesus whose life reveals God’s love and care for all people regardless of class, gender, or race. Jesus whose ministry of God’s unconditional love and forgiveness leads him to an execution on a cross. But before we’re privy to those parts of the story, God begins with a baby. Perhaps God knows what most us know. Not many can resist a baby. Babies get our attention. A baby certainly grabbed the shepherds’ attention – with a little help from the angel. Rallying through their angel terror, the shepherds made haste to Bethlehem to see the child. 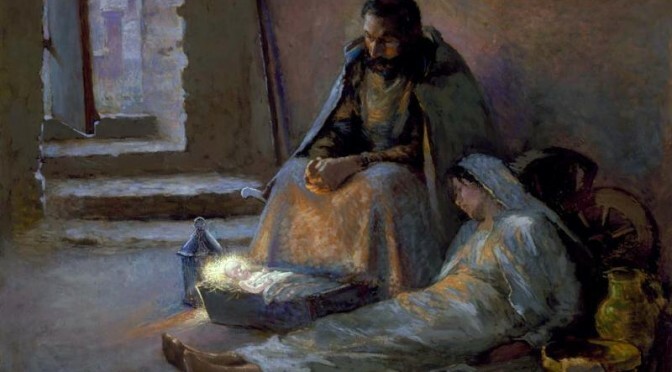 The new, young parents hear an earful from the shepherds about what the angel told them. The story tells us that, “Mary treasured all [their] words and pondered them in her heart.” Like Mary, we are left to ponder their story in our hearts. It’s a funny thing what happens when left to pondering. We notice random things when they would otherwise slip by. For instance, my husband and I watch the show The Voice. It’s a weekly singing competition. Four superstar performers act as coaches and judges. Viewers cast the winning votes. In the live, top 8 performances this season, superstar Jennifer Hudson says to one of the contestants, “Allow yourself to feel it…stop singing a perfect song and tell an imperfect story; you should pretty much be on your knees when you get done.” Because this sermon was on my mind, my first thought when I heard Ms. Hudson’s say that was, “It’s a Christmas miracle!” No, but seriously, she was my Christmas preacher in that moment. “Stop singing a perfect song and tell an imperfect story.” How many of us are trying to sing a perfect song to cover for our imperfect story? Want to hear a real Christmas miracle? Your imperfect story, everything that is out of control and beyond your control, is exactly where God begins with you. This is where God’s transcendence becomes tangible, relatable, and real because God meets us right where we live – shoving aside that perfect song we try to sing about ourselves and, instead, tells our imperfect story. So, we can just leave that perfect song to the angels and heavenly host. I’m going to let you in on a little secret. The Bible is an imperfect story told by and about imperfect people that reveal the Christ perfectly. It’s like the manger that holds the baby Jesus. Maybe it has a bent nail or a few splinters, but Jesus is in there. Revealing the One who came under a star in skin and solidarity. Revealing the One who comes in vulnerability – fragile, dependent, and hungry. Revealing the One whose story is imperfectly told so that we might see that our imperfections, our vulnerability, our fragility are revealed and held by God who also sees and names the good in you, calls you beloved, and names you children of God. It is, indeed, a Christmas miracle. “Imagine if you will…” is a line of narration used in The Twilight Zone. Jennifer Hudson to Davon Fleming, direct quote, minute 23:50 as televised with commercials. The Voice: Live Top 8 Performances. Season 13, Episode 24, December 11, 2017, on NBC. John 14:1-6 ‘Do not let your hearts be troubled. Believe* in God, believe also in me. 2In my Father’s house there are many dwelling-places. If it were not so, would I have told you that I go to prepare a place for you? *3And if I go and prepare a place for you, I will come again and will take you to myself, so that where I am, there you may be also. 4And you know the way to the place where I am going.’* 5Thomas said to him, ‘Lord, we do not know where you are going. How can we know the way?’ 6Jesus said to him, ‘I am the way, and the truth, and the life. No one comes to the Father except through me. You know and have heard more about Jocelyn than I could ever begin to know. Here’s what I do know. Celebrating Jocelyn’s life gives us a highlight reel worth watching. Her devotion to her parents and sisters, her complete devotion to Ed and their children and grandchildren as well as their friends were returned by all of you in your devotion to her. All the fun times of travel, shopping, and Broadway shows are simply reflections of your shared devotion. The highlight reel also includes Jocelyn’s ability to get things done. Whether supervising farm workers, conducting choirs, scheduling the calendar for attending everything, or running herd on five children, she got it done and had fun doing it. As devoted, fun, and accomplished as Jocelyn was, she had an honesty about her own imperfection – the limits of her humanity that show up in the rarely seen lowlight reel. In the language of Christian tradition, we call it sin. And this is where her testimony of faith is so powerful. She worshiped with awareness and humility to hear Jesus’ promise of forgiveness and God’s love for her. For Jocelyn, this language of faith ran deeply in her love of music and hymns. In her very last days she talked about the angels she could see and described them to the people with her in the room. At one point, John described her moving her arms as if conducting their singing. I have this image of the angels saying to each other, “Just go with it,” as Jocelyn was conducting. I don’t try to explain what it is people see as they’re dying or why it is that they see it. I just know it brings comfort to them and their loved ones. A few days before she died, Jocelyn told Eddie, Carol, and everyone around her that she was happy and content. In Bible story read by Lauren, Jesus says, “Do not let your hearts be troubled.” I suppose that’s easy for Jesus to say. It is also easy for us to get lost in the details of Jesus’ words just like Thomas when he says, “Way? What way? Where? How will we know?” It is so tempting to think that we have to know and prove the way, be able to explain the way and point ourselves in the right direction on the right way. The Gospel of John emphasizes the power of God in Jesus. Jesus, who is God. God, who is Jesus. Jesus whose life reveals God’s love and care for all people regardless of class, gender, or race. Jesus whose ministry of God’s unconditional love led to his execution on a cross. Jesus’ death on the cross means a lot of things. One thing the cross means is that God knows suffering. More than that, the cross reveals the mystery of God suffering with us when we suffer. The crosses in our lives can separate us from each other and from God. But God says, “Not so fast…I’ve been there too…I who came in the form of a baby, who lived and walked the earth, who was put to death and who conquered death in rising again…I am God and I have the last word.” God’s last word meets us our grief with hope – the hope that forgiveness and reconciliation with each other are possible; and the hope of all that God is yesterday in a living baby, today in a living Christ and tomorrow in an eternal God. In self-sacrificing love, Jesus laid his life down and now catches death up into God, drawing Jocelyn into holy rest. Here, now, we are assured that this is God’s promise for Jocelyn, just as it was for Marvel, Janine, Kathy and John. And be assured, that this is God’s promise for you. Thanks be to God! Psalm 126 When the Lord restored the fortunes of Zion, we were like those who dream. 2 Then our mouth was filled with laughter, and our tongue with shouts of joy; then it was said among the nations, “The Lord has done great things for them.” 3 The Lord has done great things for us, and we rejoiced. 4 Restore our fortunes, O Lord, like the watercourses in the Negeb. 5 May those who sow in tears reap with shouts of joy. 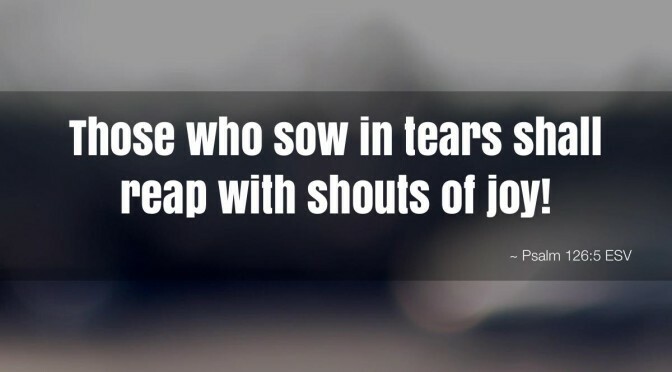 6 Those who go out weeping, bearing the seed for sowing, shall come home with shouts of joy, carrying their sheaves. 1 Thessalonians 5:16-24 16 Rejoice always, 17 pray without ceasing, 18 give thanks in all circumstances; for this is the will of God in Christ Jesus for you. 19 Do not quench the Spirit. 20 Do not despise the words of prophets, 21 but test everything; hold fast to what is good; 22 abstain from every form of evil. 23 May the God of peace himself sanctify you entirely; and may your spirit and soul and body be kept sound and blameless at the coming of our Lord Jesus Christ. 24 The one who calls you is faithful, and he will do this. Whew! Today’s Bible readings are full to overflowing. John the Baptist points to Jesus, the Light coming into the world. Mary sings about God lifting up the lowly, scattering the proud, dethroning the powerful, feeding the hungry, emptying the rich, and mercy-ing the fearful. Paul tells the Thessalonians that God’s faithfulness gives them the peace through which they rejoice, pray, and give thanks. And the Psalmist rejoices. Our Psalm today is one of the “Songs of Ascent.” Scholars generally agree that Psalms of Ascent were likely sung by the faithful while on pilgrimage towards Jerusalem. Although their ancient pilgrimage is loosely analogous to our preparation for Christmas during Advent, this Psalm was more likely chosen for this third Sunday of Advent because it rejoices in God’s restoration. First and foremost, Psalm 126 rejoices in the restoration of God’s people to the land of Zion. They returned to the land after the Babylonians took their ancestors as spoils of war seven centuries before the birth of Jesus. The complete joy upon being restored to their land is like living a dream too wonderful to be true. Laughter and shouts of joy flow freely – like the watercourses of the Negeb. Psalm 126 also connects with other divine restorations – Sarah to Abraham, Joseph to his father and brothers, God’s people to the land through Moses, Ark of the Covenant back to the people, the birth of the Messiah, Jesus to his parents, and the resurrection of Jesus. These stories of restoration, like the return of the Babylonian exile, all follow pain or disconnection or trauma beyond anyone’s control. Tears and weeping are held in tension with shouts of joy in the Psalm. A few weeks ago, I invited those worshipping to pick a word from scripture that would become their word for the church year. My colleague Pastor Wright mentioned choosing her word as an Advent discipline for the last several years and I brought it back to you all. Before I preached that Sunday sermon, I spent a few days praying and mulling over my own word. For some reason it seemed important to me to choose before I had a lot of conversations with other people about their words. So I thought about my life to this point, and the last year in particular. In the midst of it all, there was a word that kept popping up for me. So I searched the Bible for the word “laugh.” There’s a lot of things happening in the world, city, and families that need serious attention, rightly so. I need to be reminded to laugh for I dearly love to laugh and no one has the power to steal joy. The search turned up Psalm 126. I love it for the imagery of laughter flowing freely. The kind that comes up from the deep. Not forced laughter like when someone tells you to “cheer up.” Rather, the kind of laughter that comes from experiencing hard things and also being able to experience joy. Psalm 126 holds this tension. What?!!! I couldn’t believe it. Maybe you don’t either. When these kinds of things happen, I prefer not to try and explain them. I just think it’s cool. And I like to think it’s the Spirit but there’s really no definitive way to do an evidence check. So let’s just say in this moment that it’s cool. It’s also cool that it’s one of the lectionary readings for today. I didn’t know that before I picked it either. When I started tuning into sermon prep for today another circuit in my mind crackled. Again, no explanation, just cool. Way cooler is that Jesus prayed the Psalms while on earth. This means that in the Psalms we encounter the praying Christ as we pray the Psalms. Think about that for a minute. Psalms are prayed weekly in worship and countless times of day by people of faith, by the body of Christ, around the world. These words become Christ-bearers in the world, we become Christ-bearers in the word as we pray them. Sorrow and joy are all of a piece. There are people who know suffering and who know joy. Not necessarily at the same time but they are often experienced together. I’ve seen it in people who are dying who seem to hold both joy and suffering at the same time. I’ve seen sorrow and joy in people who lost a spouse and learn to live again. I’ve seen sorrow and joy in people who have lost children and who celebrate the joy of parenthood with the memory of their child who died and with their living children. I’ve seen sorrow and joy in people who experience significant assault and oppression get up the next day, living and laughing, knowing why the caged bird sings. [8a] You may be, or may know, one of these people. Their joy will not be stolen by anyone or anything for any reason. The co-existence of joy and sorrow is difficult to put into words but it’s certainly a shared human experience. Let me put it this way, you know it when you see it. Today is the third Sunday of Advent also considered joy or rejoice Sunday when we light the pink candle symbolizing joy here in the sanctuary. As with all things liturgical, consensus can be elusive but there is general agreement about rejoicing in the Lord because we are that much closer to Christmas. Paul encourages us to rejoice always. Again, not a shallow “cheer up,” but rather rejoicing in God’s faithfulness that gives us peace through which we rejoice. For it is God who is the foundation of our joy. Mary sings her joy at the coming of the One who levels the ground between the mighty and the lowly. John witnesses to the One who is the light, who pushes against the darkness that would overcome us if left to its own devices. We join them in rejoicing for these things and for all that God is doing in us as Christ-bearers in the world. Rejoice in the Lord always, and again I say rejoice! Thanks be to God and amen. A nod to Jane Austen’s character Ms. Elizabeth Bennet in Pride and Prejudice who finds it a shame to not have a reason to laugh with Mr. Darcy. Jesus prayed these prayers while on earth and now we do too as a congregation, the body of Christ. Therefore, in the Psalms, we “encounter the praying Christ…Even if a verse or a psalm is not one’s own prayer, it is nevertheless the prayer of another member of the fellowship.” Excerpt from: Dietrich Bonhoeffer, Life Together (New York: Harper & Row, 1954), 46-47. [8a] Maya Angelou. I Know Why The Caged Bird Sings” (1969). John 1:6-8 and 19-28 here was a man sent from God, whose name was John. 7 He came as a witness to testify to the light, so that all might believe through him. 8 He himself was not the light, but he came to testify to the light. 19 This is the testimony given by John when the Jews sent priests and Levites from Jerusalem to ask him, “Who are you?” 20 He confessed and did not deny it, but confessed, “I am not the Messiah.” 21 And they asked him, “What then? Are you Elijah?” He said, “I am not.” “Are you the prophet?” He answered, “No.” 22 Then they said to him, “Who are you? Let us have an answer for those who sent us. What do you say about yourself?” 23 He said, “I am the voice of one crying out in the wilderness, ‘Make straight the way of the Lord,'” as the prophet Isaiah said. 24 Now they had been sent from the Pharisees. 25 They asked him, “Why then are you baptizing if you are neither the Messiah, nor Elijah, nor the prophet?” 26 John answered them, “I baptize with water. Among you stands one whom you do not know, 27 the one who is coming after me; I am not worthy to untie the thong of his sandal.” 28 This took place in Bethany across the Jordan where John was baptizing. 1 Corinthians 1:3-9 Grace to you and peace from God our Father and the Lord Jesus Christ. 4 I give thanks to my God always for you because of the grace of God that has been given you in Christ Jesus, 5 for in every way you have been enriched in him, in speech and knowledge of every kind– 6 just as the testimony of Christ has been strengthened among you– 7 so that you are not lacking in any spiritual gift as you wait for the revealing of our Lord Jesus Christ. 8 He will also strengthen you to the end, so that you may be blameless on the day of our Lord Jesus Christ. 9 God is faithful; by him you were called into the fellowship of his Son, Jesus Christ our Lord. Hanging from my car’s rearview mirror is a string with six colored beads tied into it – green, red, and white. My daughter, Taryn, made it about ten years ago. She gave me her gift and said it was the liturgical year. It’s hung in my cars ever since and now has that priceless quality of sweet nostalgia. She made it and gave it to me knowing that the liturgical year means something to me – which is funny because there was a time when I had no idea what it was. Here we now sit, on the first day of the new liturgical year. The term simply means church time. The church keeps time around the life, death, and life of Jesus and calls it the liturgical year. Today, we could easily greet each other with a joyous, “Happy New Year!” Advent begins the new church year today. We mark Advent during the four Sundays before Christmas. At the same time, we turn the page from the Gospel of Matthew to the Gospel of Mark. I, for one, am relieved. Matthew highlights the tension between the early church and Temple Judaism so much that it can be challenging to preach with all of that wailing and teeth-gnashing about who’s in and who’s out. The Gospel according to Mark is the shortest of the four gospels at 16 chapters. This means that the Gospel of John shows up more in Sunday readings which, for this preacher, is heaven on earth. Get it? Word made flesh (John 1:14)? [I’m throwing in my own chuckle on this one thereby reifying my kids’ perception that I laugh far too easily at my own jokes]. Mark is writing at a time when Rome’s power destroyed the temple. The political and the religious crossed swords regularly. Mark preaches an engaged discipleship in troubled times that rejects violence on the one hand and timidity on the other. Jesus opens and closes the reading today with descriptions of dark and chaotic times. We are listening in as Jesus teaches his disciples just before the events of the cross begin. Jesus’ teaching reveals the cross as the apocalypse for which the disciples are to keep awake. He does this by using the language of time in verse 35 that matches the language of time in crucifixion story – evening, midnight, cockrow, or dawn. Let’s take evening as one example, Jesus catches these same disciples asleep in the garden as he prays. Yes, sleep happens. Knowing that sleep happens, let’s talk about the discipline of keeping awake and engaged. For me, long before the pulpit stint, it was first about the Eucharist. Receiving weekly communion has been food for the soul revealing both my complete dependence on God and the strength needed for whatever God is calling me into. The Eucharist, of course, sits in the middle of the worship liturgy after the preaching that convicts, forms, and frees us as disciples. Beyond the discipline of worship, there are daily opportunities for keeping awake. Here’s your homework. Take this reading home and think through whether any of these words are worth choosing as your word for this church year. A word that could become part of discipleship, keeping you awake and engaged in these troubling times. Keep in mind that Paul’s letter to the Corinthians is being sent because they are going through a difficult time. They were doing just fine when Paul left them as a mission start congregation but have fallen into disarray, squabbling about all kinds of things. The reading from Paul’s letter lists truths about discipleship regardless of chaos because they are promised by God, not dredged up within ourselves – grace, peace, strength, speech, knowledge, spiritual gifts, and more, given by God. Pick a word, any word, as a discipline for this next church year. Pick it from 1 Corinthians or 1 John or wherever scripture leads you. Mine is from Psalm 126 but I’ve had since Tuesday to think about it. Tape it to your bathroom mirror, hang it from your car mirror, write it on a bookmark and use it in whatever book you’re reading at the moment, paint it on your fingernails, or use fingernail polish to paint it on your shop bench. Get creative. Keep awake. Be engaged in this moment in time. Jesus gives the disciples a word of life in the fig tree’s timing nestled in between his talk about the timing of the cross. In his words about the fig tree, he also gives us discipleship that speaks a challenging, good word to a world seeming bent on words of contempt and acts of violence. We do not know where we are in time or how much further each one of us will go. God’s good word reveals God’s tomorrow in the life we live today. This is the good Word first given to us in the life of Jesus for whom we wait and for whom we keep awake. Thanks be to God for God’s good Word. Mark chapters 14 and 15. Mark 14:32-52 (evening in the garden); Mark 14:53-65 (midnight, examined by the high priest); Mark 14:66-72 (cockrow, denied three times by a friend); Mark 15:1-20 (dawn, condemned to die); Mark 15:33 (Jesus’ crucifixion, death on the cross, and burial: Mark 15:21-47). Mark 14:32-42 The disciples fall asleep three times in the garden as Jesus is praying.